I have to say that taking photographs of beautiful things, helps motivate me to capture inspiring photos and sharing them with my online community. Either for work, or as a hobby, having a good camera is a must, because there is so much to share in life. 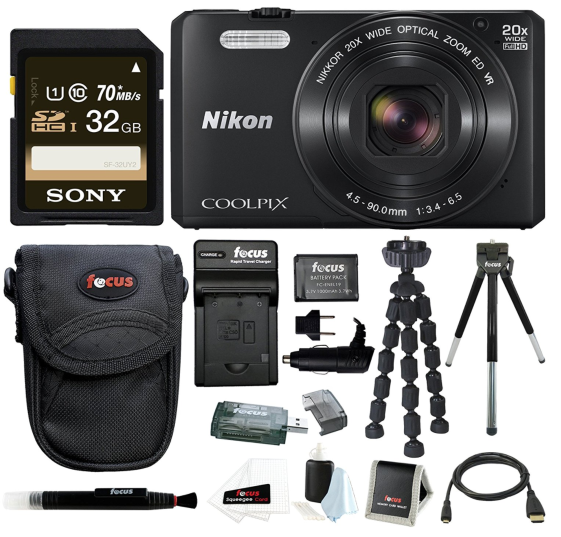 Enter for your chance to win a Nikon Coolpix S7000 Camera, plus a kit. Check it out. This is a one Time Entry. Giveaway ends March 31, 2017, and was open to U.S. and Canada residents only. This promotion is in no way sponsored, endorsed or administered by, or associated with, Facebook, Twitter, Instagram, Pinterest, nor any other social media venues. By entering you acknowledge that you have read and agreed with the terms and conditions ruling the giveaway event, and to release Just Happiling from any prize liability. Prize fulfillment is the sole responsibility of the sponsor of this giveaway event. The winner will be chosen and notified on April 1st. Good Luck!